Image copyright © Giuseppe Lafiosca. All rights reserved. Explore the genealogy of the Roman gods and goddesses by looking at a family tree. You can find the family tree for the House of Romulus, Alba Longa, Sabine-Latin Line and the Etruscan Line. Find the family trees of important imperial dynasties. 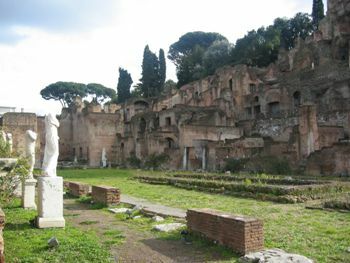 Post genealogical information on this forum or reply to posts from others who are looking for relatives in and arround Rome. Find the address for the Archivio di Stato for the province of Roma. It also tells you what to ask for and it includes a sample letter.